Dr. Chebli has personally performed more 2,000 metabolic and bariatric surgeries. All procedures are performed laparoscopically and include the Roux-en-Y gastric bypass, vertical sleeve gastrectomy, endoscopic intragastric balloon, adjustable gastric banding, and revision procedures. Dr. Chebli's focus is his patients' "picture of health" specifically the improvement of type 2 diabetes, high blood pressure, sleep apnea and lipid disorders. Dr. Chebli was appointed to the Diabetes Advisory Council by Governor Rick Scott in November 2015. He was appointed Chair-Elect in November 2016. Dr. Chebli has been certified as a Surgeon of Excellence and Center of Excellence in Metabolic and Bariatric Surgery by the Surgical Review Corporation (SRC). Venice Regional and Brandon Regional has been designated a Comprehensive Center by MBSAQIP as well. He was named a "Top Doctor" by Seattle magazine for seven years in a row between 2007-2013. He was named a "Top Doctor" by Seattle Met magazine in 2012. 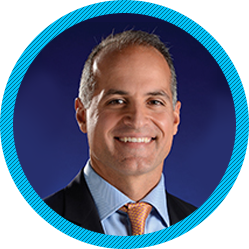 He was named a "Top Doctor" by Sarasota Magazine in 2016, 2017, and 2018. He served as a medical director for bariatric surgery at the University of Washington Northwest Hospital and Medical Center from 2005-2012. He was the medical director for bariatric surgery at Evergreen Hospital Medical Center from 2010-2012. He has been the medical director of metabolic and bariatric surgery at Venice Regional since 2013. Dr. Chebli is also active staff at Brandon Regional which is possesses every Center of Excellence designation. In September 2012, Dr. Chebli was appointed to the prestigious Access to Care Committee for the American Society for Metabolic and Bariatric Surgery (ASMBS). He has served on that committee as the STAR (State Access to Care Representative) for Florida since 2014. He has served as the chairman of the medical review board for the BLIS Company since 2007. Dr. Chebli was designated a Center of Excellence Surgeon in Bariatric Surgery by the ASMBS in 2010. He was designated both a Surgeon of Excellence and a Center of Excellence by the SRC in 2013 and recertified in 2017. He was designated a Master Surgeon by the SRC in 2017. Venice Regional was designated a Comprehensive Center by MBSAQIP in 2015 and recertified in 2018. Brandon Regional possesses every Center of Excellence designation (including all insurance designations as well). Dr. Chebli has office locations in Venice, Brandon, and Lakeland. He became board certified in surgery in 2002, and recertified in 2013. He has been a long-standing member of the ASMBS and he was named a Fellow of the American College of Surgeons (FACS) in 2004. He was named a Fellow of the American Society for Metabolic and Bariatric Surgery (FASMBS) in 2015. He is a reviewer for Surgery of Obesity and Related Diseases (SOARD). He received the Obesity PAC Award at the ASMBS Lead Awards in Washington, DC in 2017. Dr. Chebli was born in Canton, OH, home of the Pro Football Hall of Fame, and he was raised in Staten Island, New York. He obtained his undergraduate degree from Georgetown University in 1991, and graduated from medical school at State University of New York at Stony Brook in 1995. He completed his general surgery residency at Georgetown University Hospital in 2001. During his residency, he received the prestigious outstanding resident teacher award and outstanding grand rounds presentation award. In his free time, Dr. Chebli enjoys spending time with his wife, Caroline, who is a board certified orthopedic surgeon and three daughters. He enjoys tennis and running.